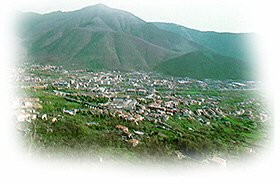 Solofra is situated in a valley of the Picentini Mountains, communicating with the Montoro-St. Severino plain that links up the Irno and Sarno basins and is an important vital knot of the Campania plain. The small town has been helped in its history and economy by its particular geographic position. Its territory was the residence of a Sannite outpost on the road between the Sabato and Irno valleys and of a settlement of the Roman Abellinum colony. 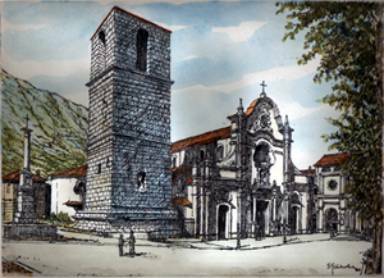 With the invasions its piedmont crags became seats of two early medieval lines of communication protected by St. Angel and St. Mary’s parish church which greatly influenced the forming of its people identity. It enabled the Solofra works to gravitate towards Salerno on which it depended and to which the territory was tributary. 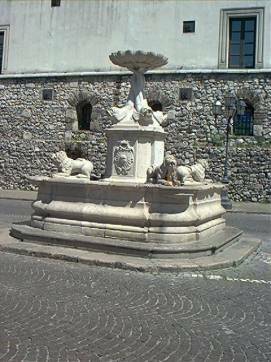 When it was occupied by the Longobards it was absorbed into the Benevento Duchy and was part of the Rota (St.Severino) gastaldato. In those days the valley was divided into two territories: the locum Solofre and the locum de sancta Agatha. During the Norman-Swabian period it became a vico and was first part of the Rota County, then it was part of the feud of the Tricaricos under whom it got its territorial and administrative autonomy (XIII century), becoming the feud of Giordano Tricarico. It was then given by Giordano’s brother, James Tricarico, as a dowery to his daughter Giordana, who married Alduino Filangieri from Candida. 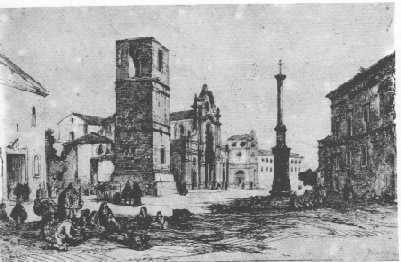 The Filangieris fostered the link with the artisan-mercantile world of Salerno and built, in the mercantile centre of Solofra, the public platea, the monastery of the Augustinian friars (seond half of the XIVcentury). After the Filangieri branch died out, the feud passed to the Zurlos from Naples and to the Della Tolfas from Serino. After a brief period of feudal autonomy, it passed to the Orsinis from Gravina who transferred the possessory title of their principality on the feud they kept up until the abolition of feudality (1806). 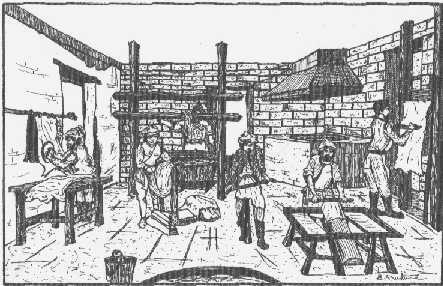 In the history of Solofra we can identify an important antifeudal line, concerning also a claim in defence of the small town’s artisan-mercantile jobs, which was fulfilled when its citizens fought against the Orsinis (between the end of the XVII century and the beginning of the XVIII century) and characterized the Enlightement of Solofra, resulting in the Neapolitan Revolution of 1799. Important was also its taking part in the Carbonaro risings of 1820-21 with four Carbonari groups and in the labour conflicts of the beginning of the 20th century when developed a socialist cell, comprising both Solofra and S. Agata. The small town is characterized by the skin tanning deriving from sheepfarming which, thanks to its favourable environmental conditions, has now got a great number of tanneries. In fact, it was part of a pole specialized in wool and skin manufacture, deriving from sheepfarming products and gravitating towards the market of Salerno comprising the Giffoni and S.Severino hamlets too, which had unremitting relations with Solofra. arte de conciaria, de coraria, de mercanzia, de vinticaria, de fabricar calzarelli e scarpe, de far funi e cordomane, de corredare, de far auropelle, de far carte membrane, de vender lana, de far mortella, de far summacchi. To these skills we have to add other local jobs, such as the pork salting and the pork working, which go back to the Longobard times, and the gold-beater art in which the artisans reached a particular specificity and a special cleverness. In the area was created a true pole of products linked to the herd industry that supplied a lively mercantile world. Thanks to this social and economic condition a splendid collegiate church (St. Michael’s cathedral, at present a national monument) was built on the ancient parish church, which was knocked down at the beginning of the 16th century to make room for a church that could better express the social condition of the town. The Orsinis settled in Solofra with their own palace (second half of the XVI century) opposite the Collegiate church so that this area, where stands the Zurlo Palace too, is the historic centre symbolizing the local set up. They built "St. Maria delle Grazie" Nunnery (later St. Chiara nunnery), situated in the same area, and "St. Domenico" Monastery (1644) which preserves the feudatory Dorotea’s mortal remains. Giuseppe Maffei, who was an authoritative representative of the XVIII century Neapolitan Court, a professor and Chancellor of Naples University, and, as a scholar of Neapolitan Institutes, he arranged, in a voluminous, historical, important work, all the rules and Customs which had developed in the South. Besides, we have to remember the doctors Riccardo, Andrea and Niccolò Fasano who, in the XIV century, were experts in the medical profession at the Angevian court gaining important economic privileges for Solofra; Onofrio Giliberti (1618-1665), a matematician, astronomer and man of letters who was a member of the Solofra Academy "Amene lettere"; Gabriele Fasano (1645-1689), priest and man of letters, who translated "The Gerusalemme Liberata" by Tasso into Neapolitan, taking part in the literary relations between Naples and Florence; Costantino Vigilante (1685-1754), bishop in Caiazzo, who contributed to the renewal movement started by Charles III; Massimiliano Murena (1728-1781), jurist and philisopher, author of important Neapolitan Enlightement works; Matteo Barbieri (1746-1789), lover of mathematical sciences and author of a fundamental popular scientific work "Historical information about the philosophers and matematicians of the Neapolitan Kingdom"; Felice Giannattasio (1759-1849), matematician, astronomer and philosopher; Leonardo Santoro (1764-1853), innovative doctor and surgeon; Antonio Giliberti (1809-1900), theologian and Latin scholar, who wrote "Pantheon Solophranum" in Latin verses, in which he celebrated the local glories; Felice De Stefano (1889-1936), a naval engineer and a crew member of a dirigible during the first World War. Da M. De Maio, Alle radici di Solofra, Avellino, 1997; Solofra nel Mezzogiorno angioino-aragonese, Solofra, 2000.